office-based dental, animal health and medical practitioners, will occupy Building 7, meaning the park will be fully leased. Cushman & Wakefield facilitated the transaction. “This transaction is another great example of the versatility of Prologis facilities, which can be adapted to serve various customer needs across industries. We wish Henry Schein success in their new location,” says Martin Baláž, director of leasing and development, Prologis Czech Republic and Slovakia. 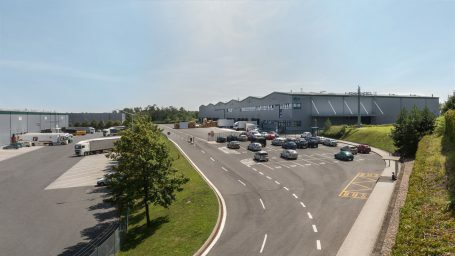 “We are delighted to have secured this long-term space at Prologis Park Prague-Rudna. The park’s location meets all the requirements of our expansion strategy, while the quality of the space allows us to safely store and efficiently distribute our goods. We are confident that partnering with Prologis will help support our growth,” says MVDr. Karel Badalík, General Director, Henry Schein.